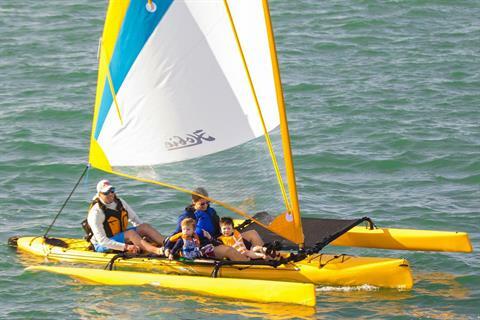 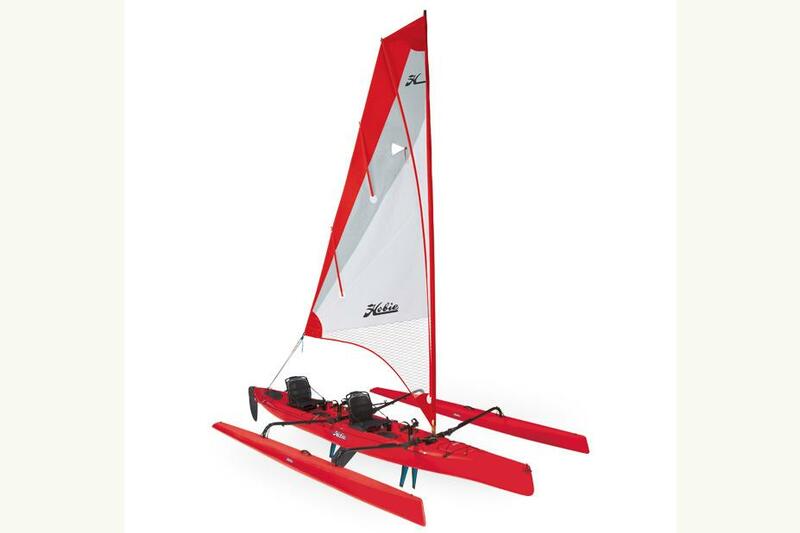 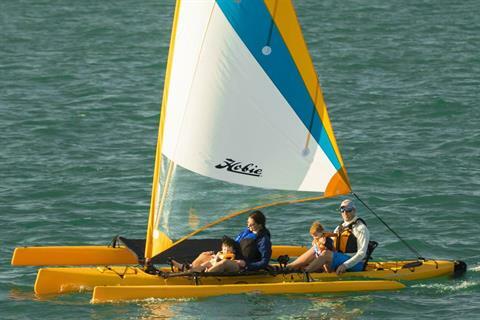 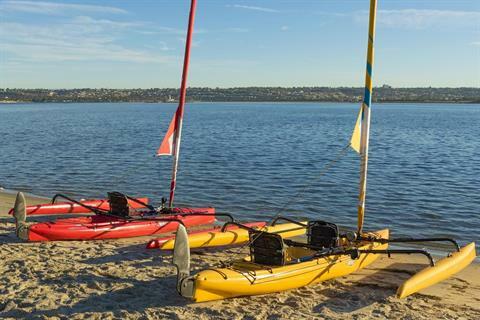 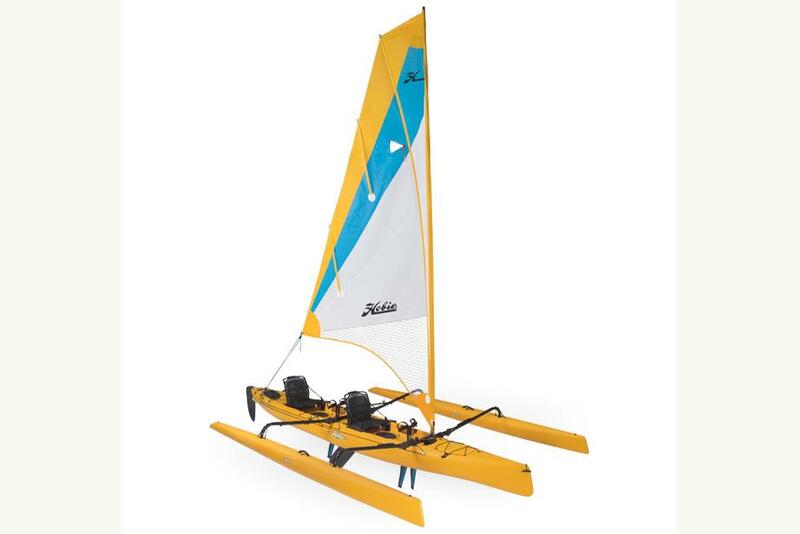 The puff of wind hits and the Hobie Mirage Tandem Island’s leeward ama chisels into the water, its efficient, square-topped mainsail immediately translating increased wind speed into extra boat speed. The Tandem Island’s two-piece carbon composite rig minimizes weight aloft—thus stiffening the ride—and both cockpits are fitted with steerage and sail-handling controls, allowing sailors of all abilities to share the experience. Best yet, the Tandem Island is equipped with enough hatches and on-deck stowage for multi-day escapes. 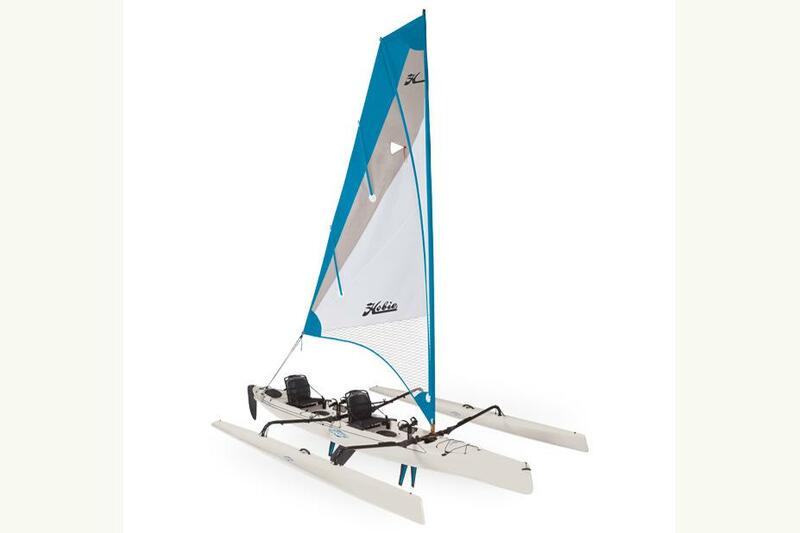 This is Hobie’s ultimate blue water hunter, capable of marlin-teasing trolling speeds.